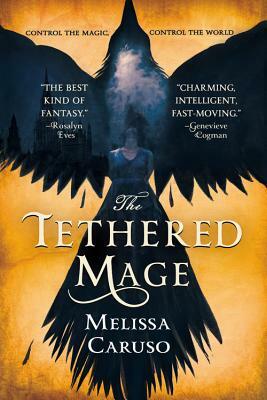 The first book in a spellbinding fantasy trilogy for fans of The Queen of the Tearling and The Red Queen, where two young women -- a mage with coveted powers, and the scion of a powerful family -- are magically bound in service to the Empire. Magic is scarce in the Raverran Empire, and those born with such powers are strictly controlled -- taken as children and conscripted into the Falcon army, to be used as weapons in times of war. Zaira has lived her life on the streets to avoid this fate, hiding her mage mark and thieving to survive. But hers is a rare and dangerous magic, one that threatens the entire Empire. The Tethered Mage is the first novel in Caruso's debut series, Swords and Fire. excited about what Caruso will write next."